Sure, McDonald’s drive-thru’s are pretty convenient. You can swing by McDonald’s and pick up your food without even getting out of the car. But wouldn’t it be that much more convenient if you didn’t have to drive to McDonald’s in the first place? 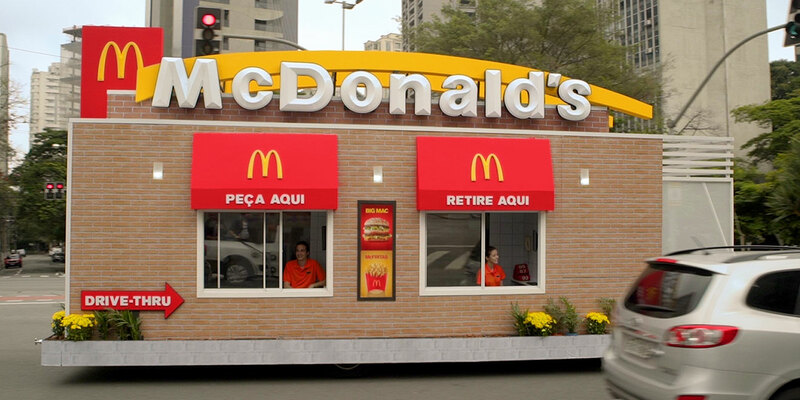 In a goofy stunt recently, McDonald’s Brazil and ad agency DPZ&T built a mobile drive-thru truck that will drive to you instead—hyperbolically communicating the brand’s consistent accessibility. “It was an irreverent way of reminding everyone that there is always a drive-thru along their way, and also anywhere in Brazil,” says Sergio Mugnaini, executive creative director at DPZ&T. Thankfully, actual McDonald’s drive-thru’s still exist, if only to help parents of newborns get their sustenance without waking up the sleeping babes in their carseats.